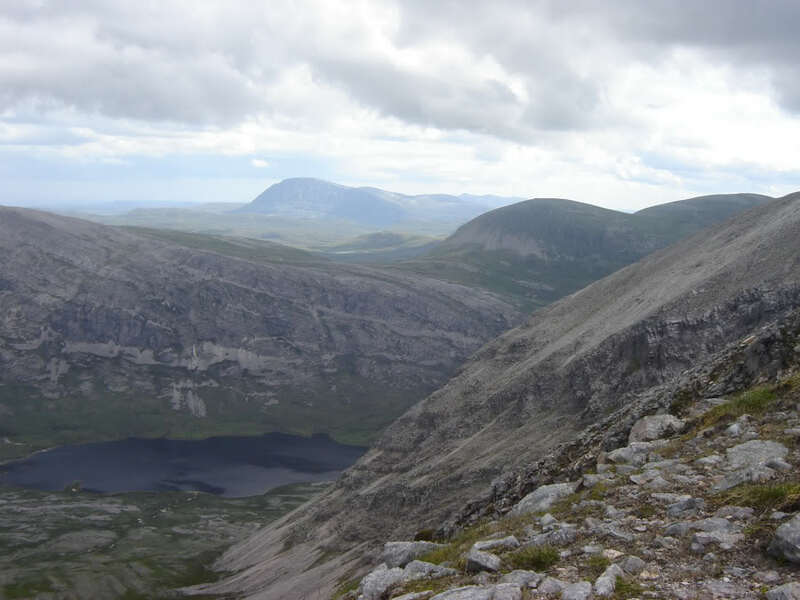 I set off from home at 04:15 on Friday to arrive at the start of Arkle by 08:30. 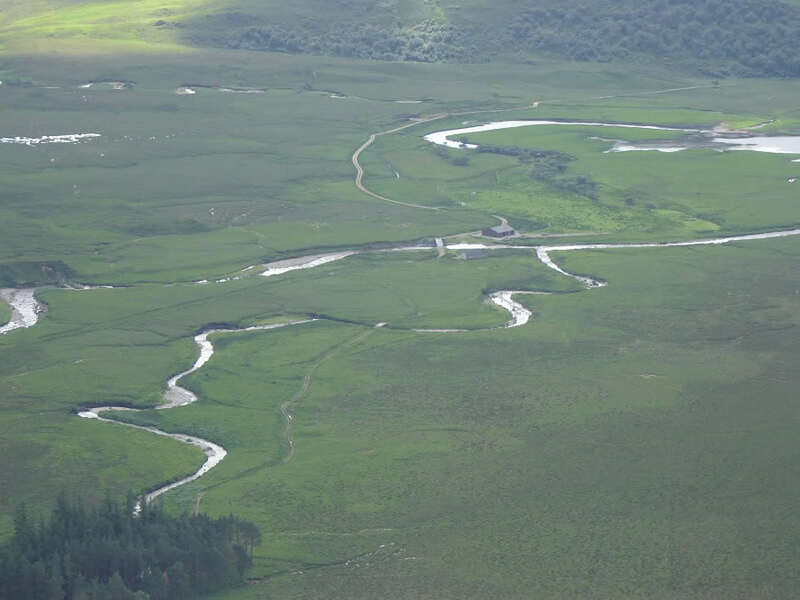 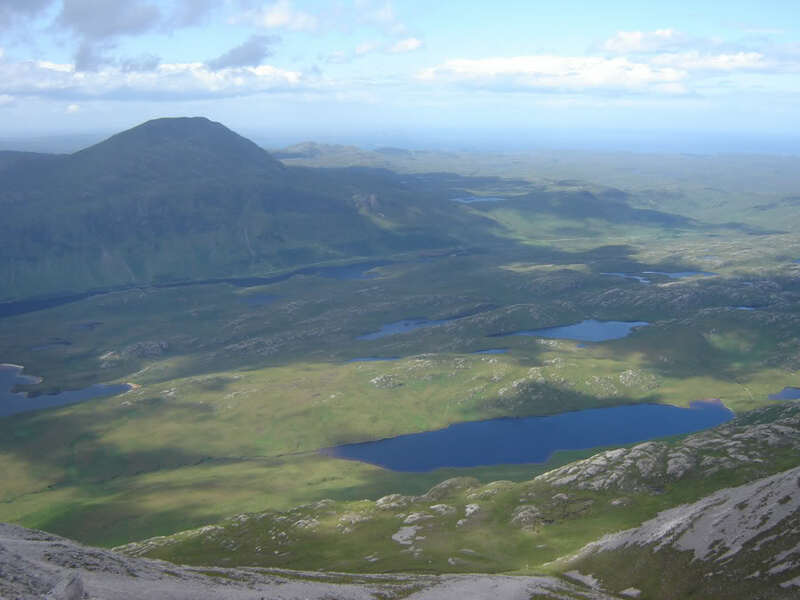 It was my intention to keep Arkle for my final Corbett, however, given I was in the area for the weekend, I thought it would be good to get it done. 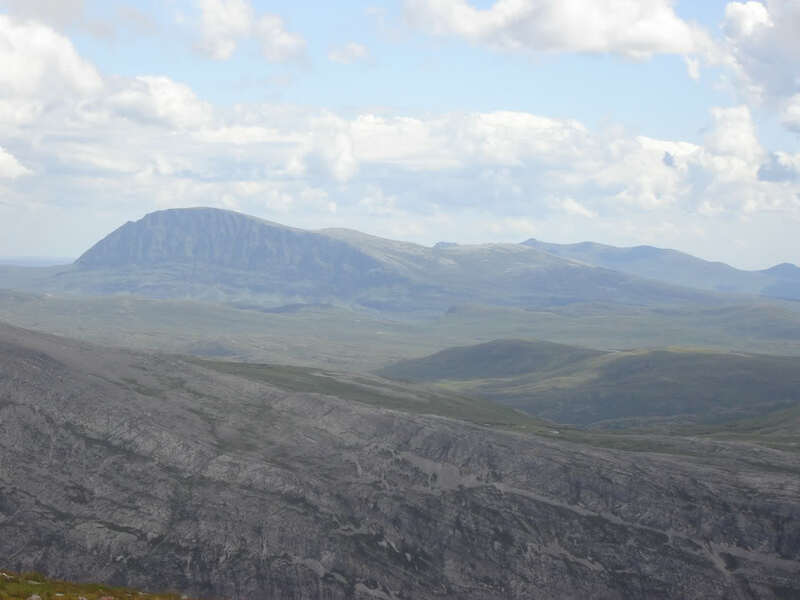 The weather forecast wasn’t great but the actual weather wasn't that bad. 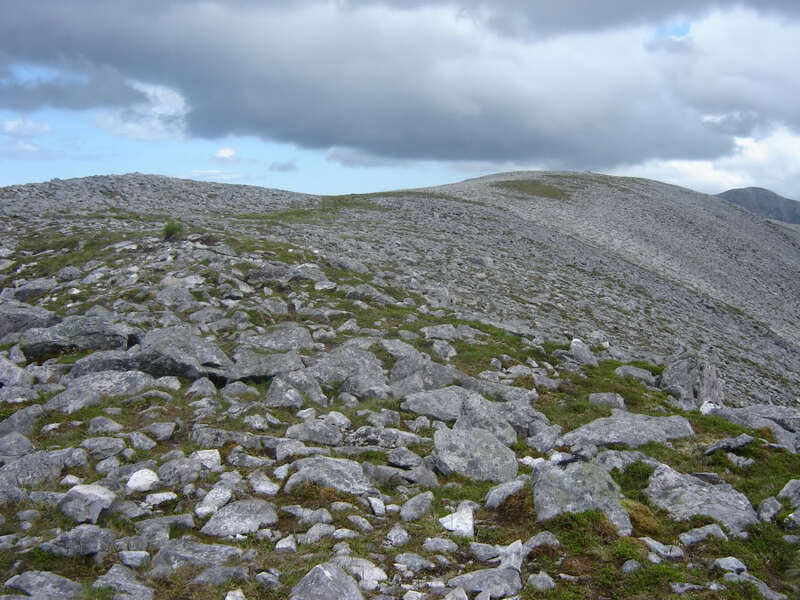 The following photos are a mix from ascent/descent. 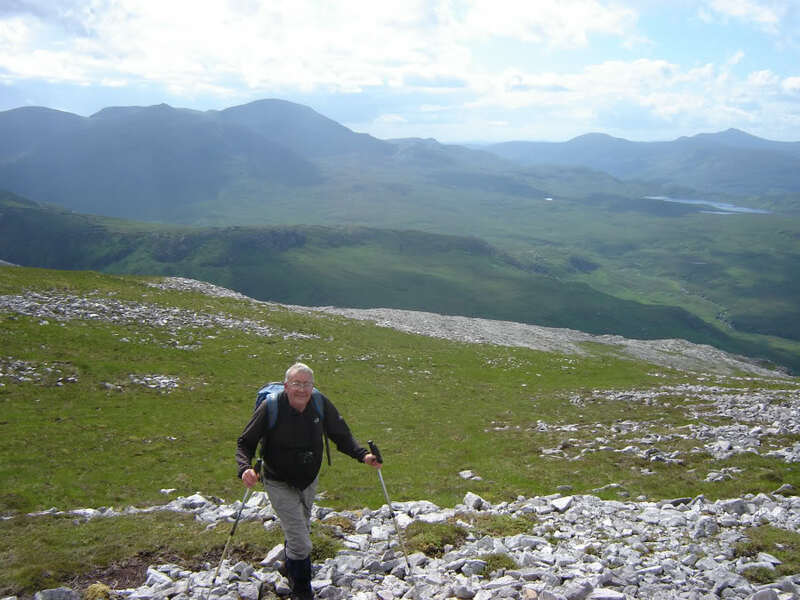 Our route was the standard SMC guidebook route. 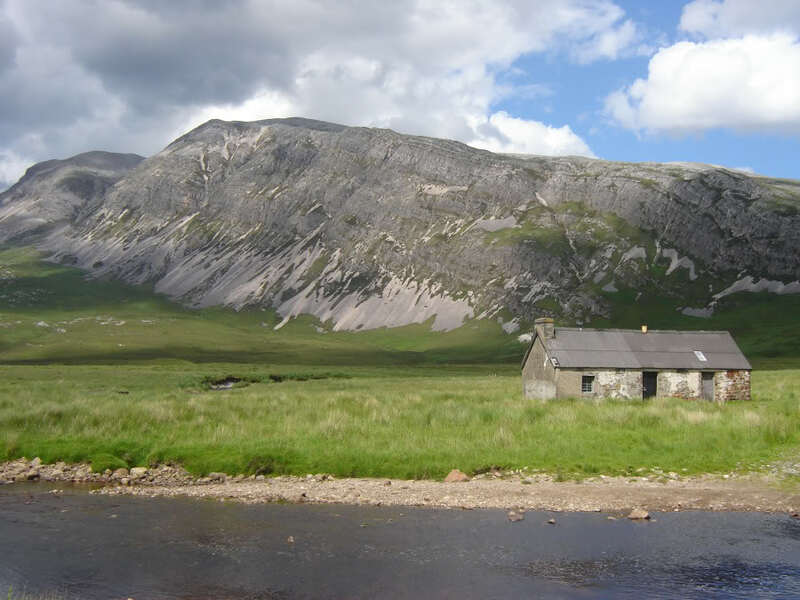 The walk in as far as Lone bothy was pleasant with numerous foxgloves in bloom alongside the path. 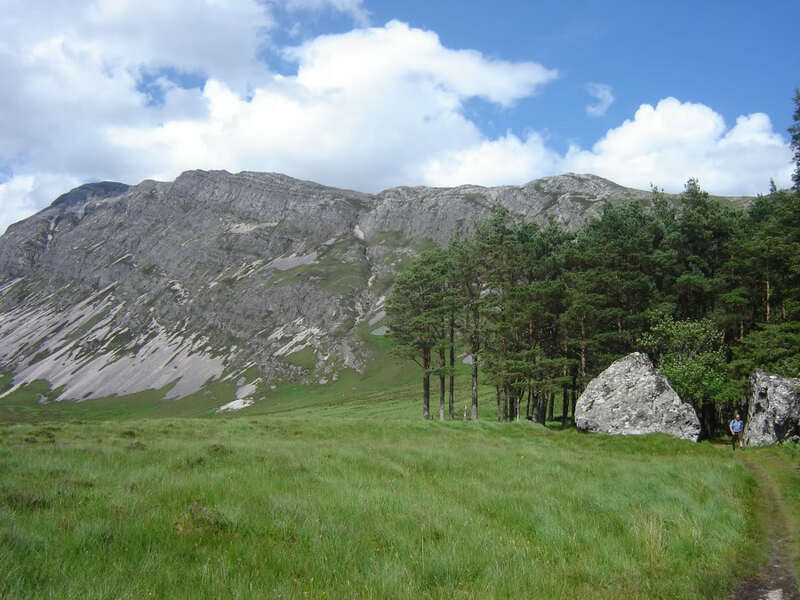 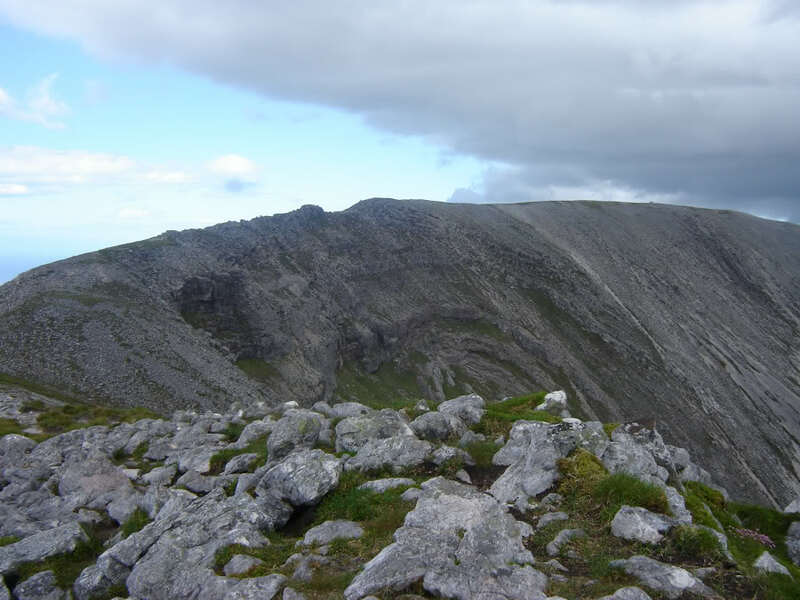 I hadn't expected the ascent to Arkle's 758m top to be quite so straight-forward – nice wide ridge, lots of quartzite but with grassy sections in between. 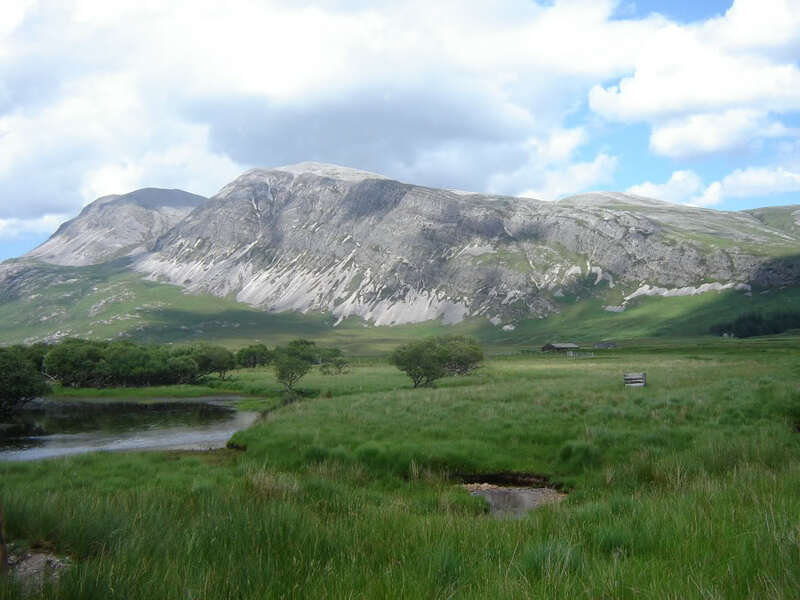 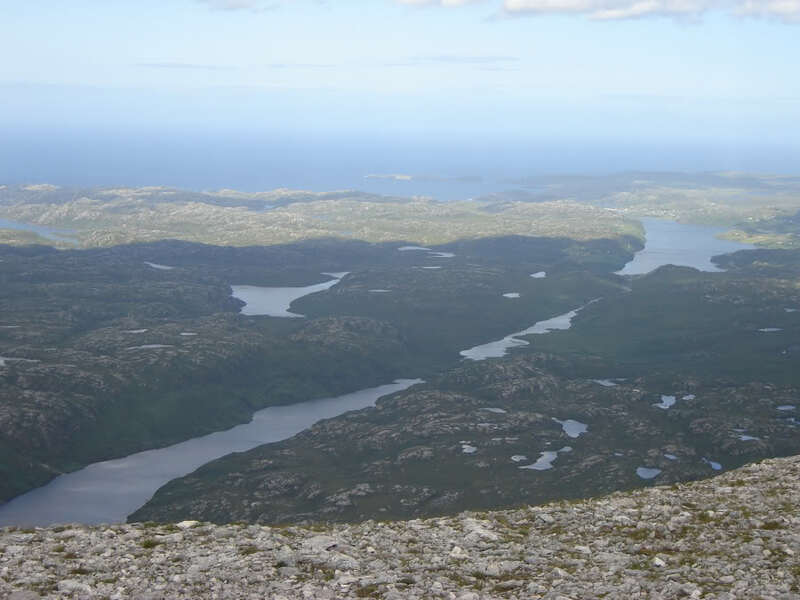 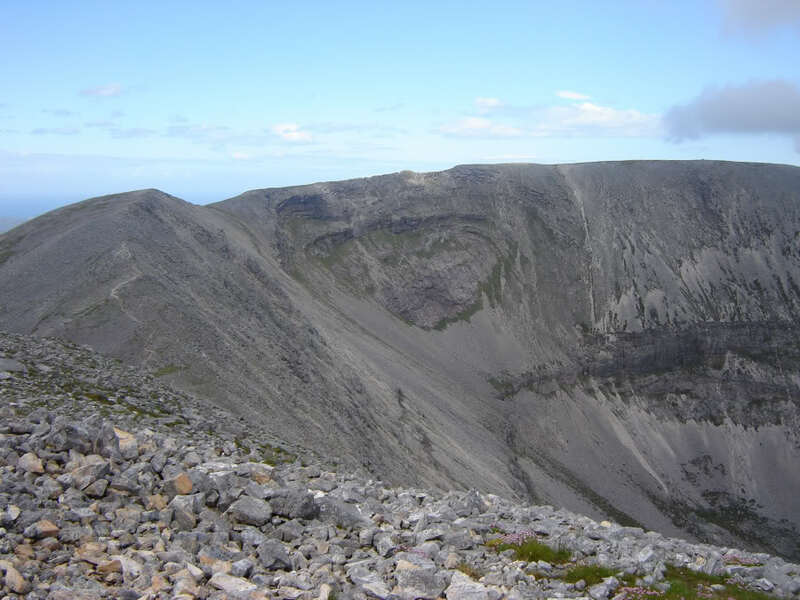 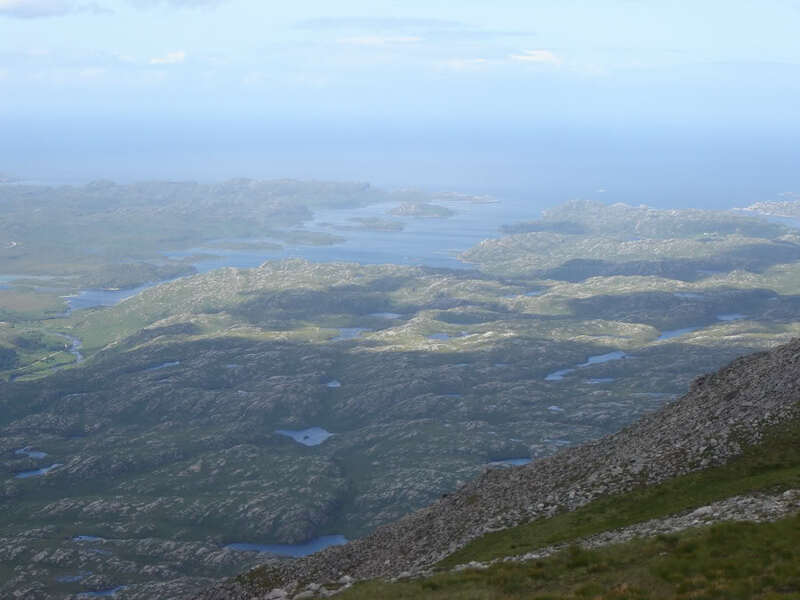 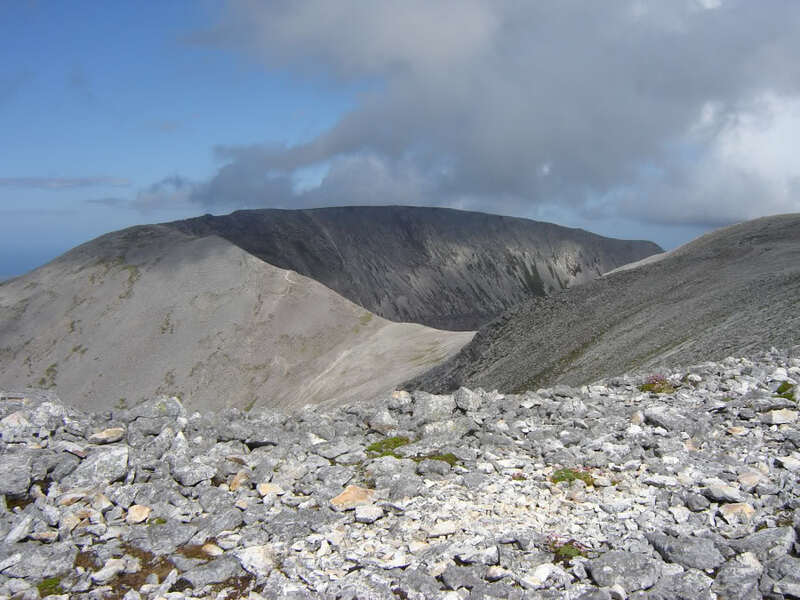 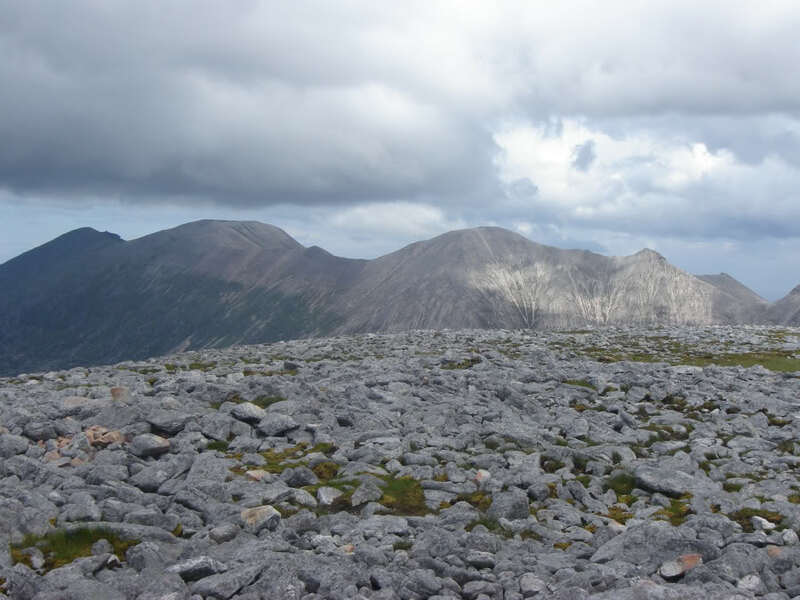 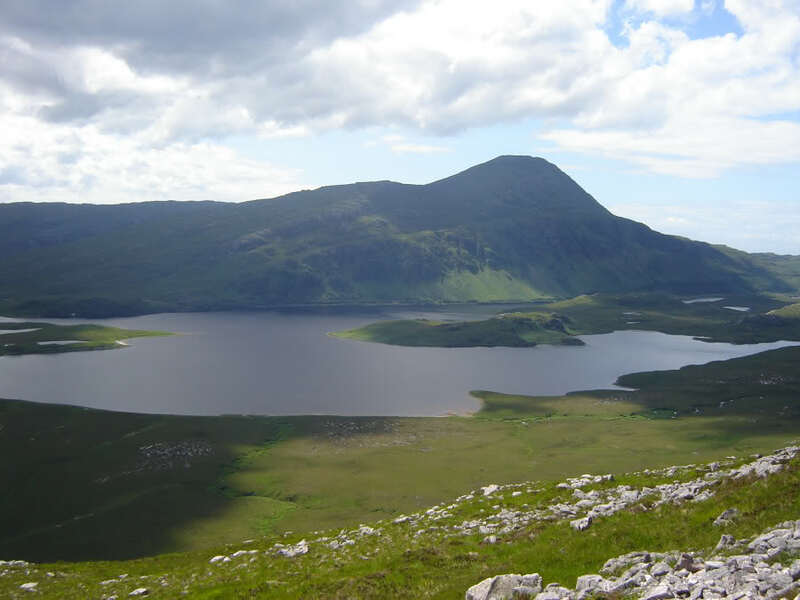 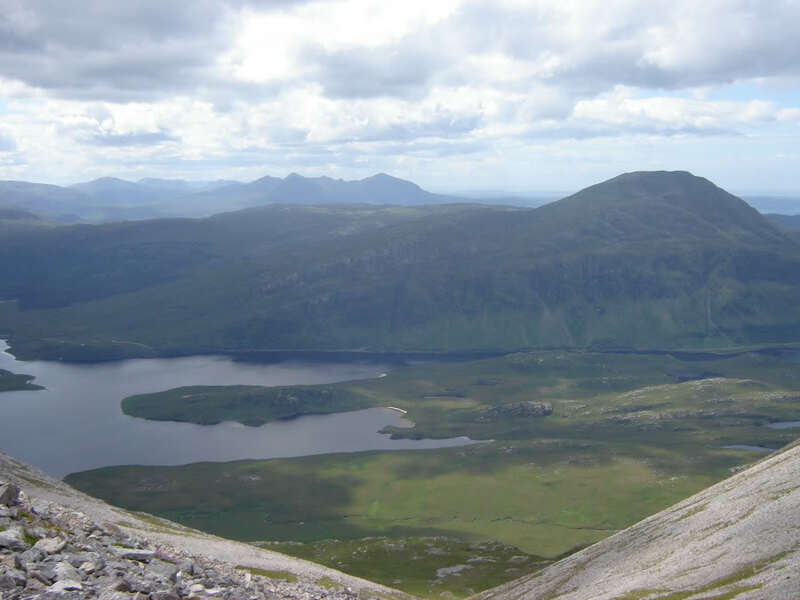 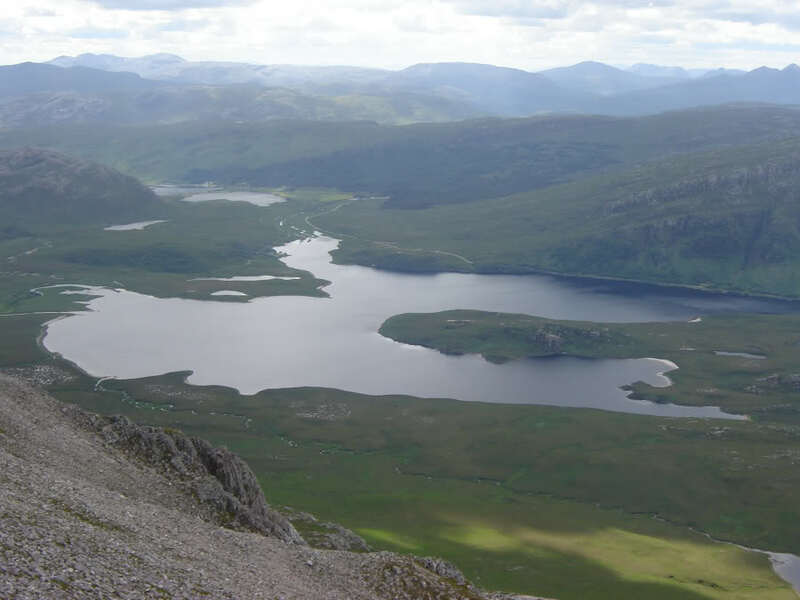 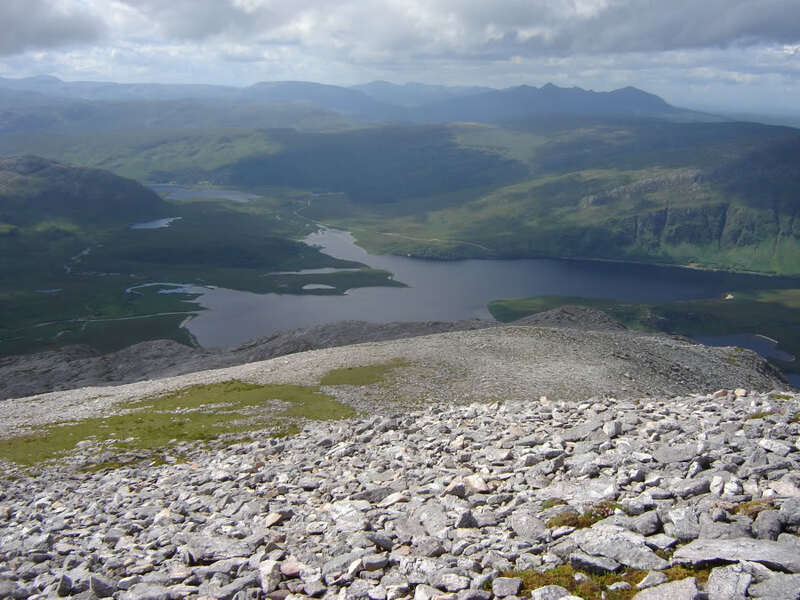 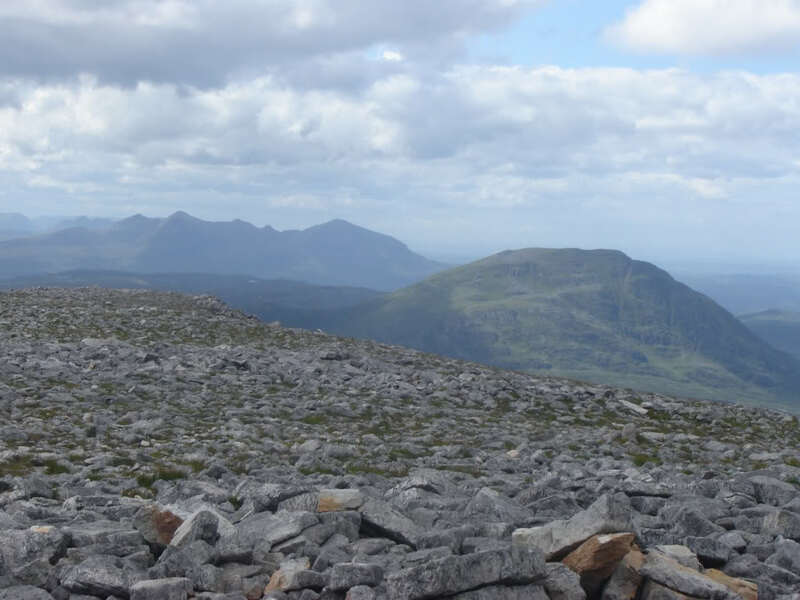 We got our first views of Arkle's crescent ridge a few hundred metres before reaching the 758m top. 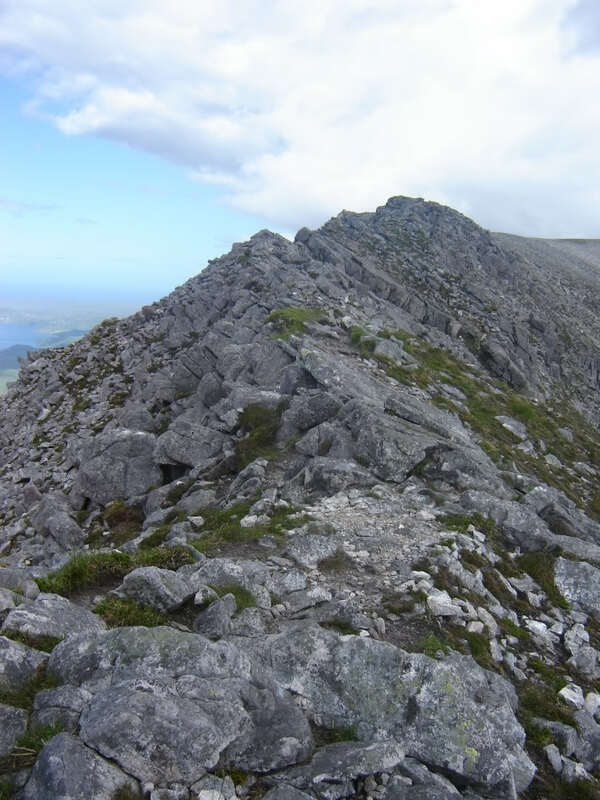 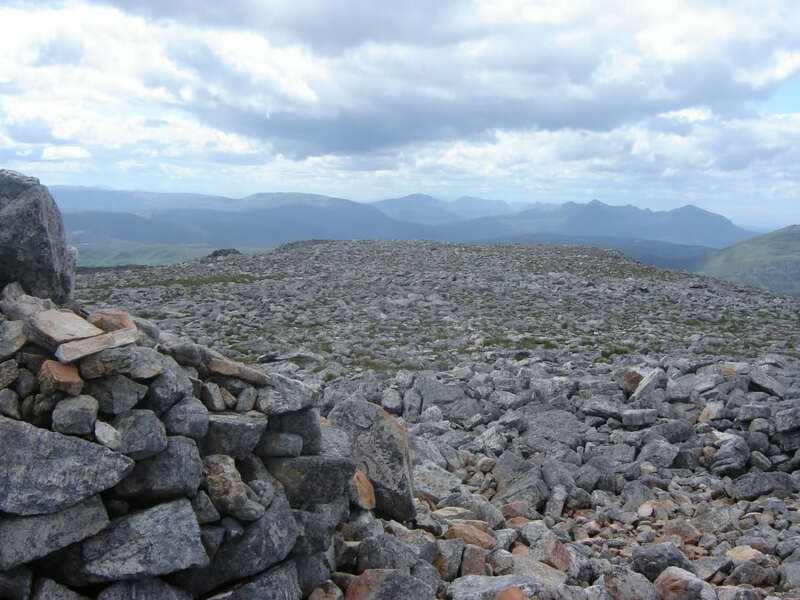 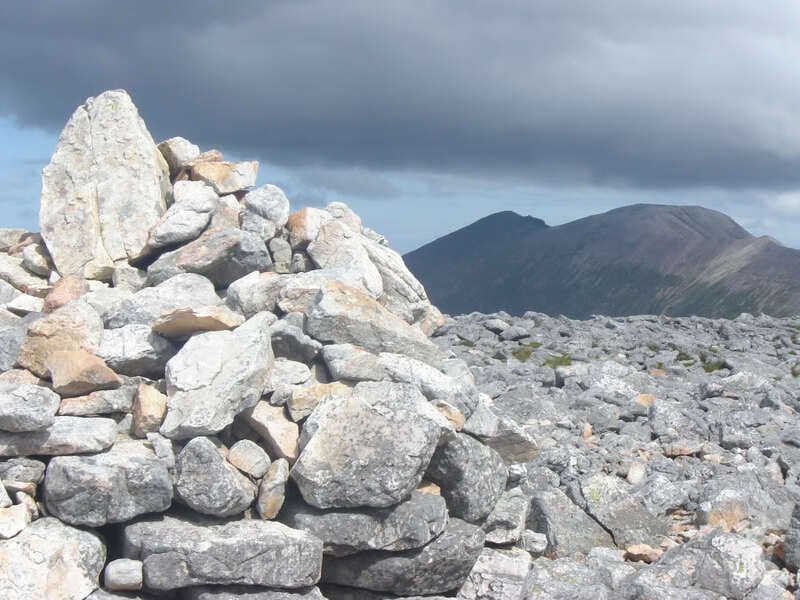 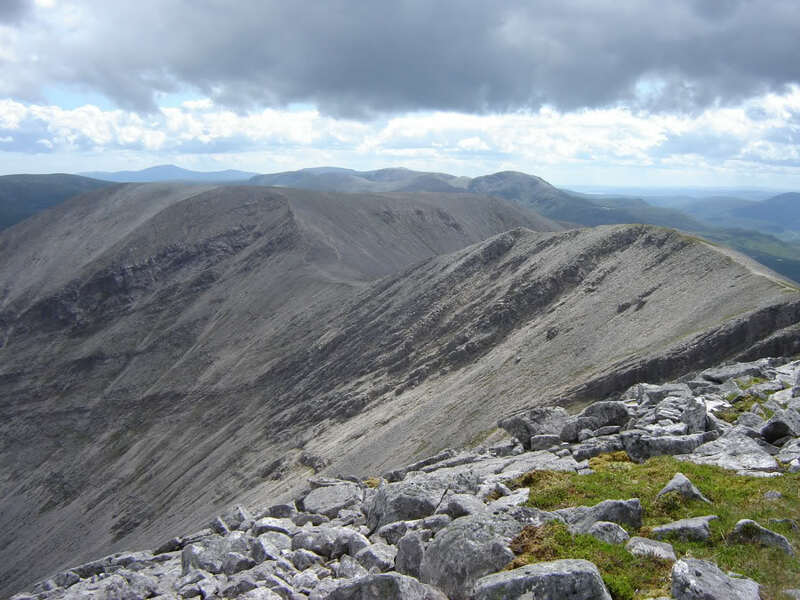 I also found the crescent ridge of Arkle to be easier than expected. 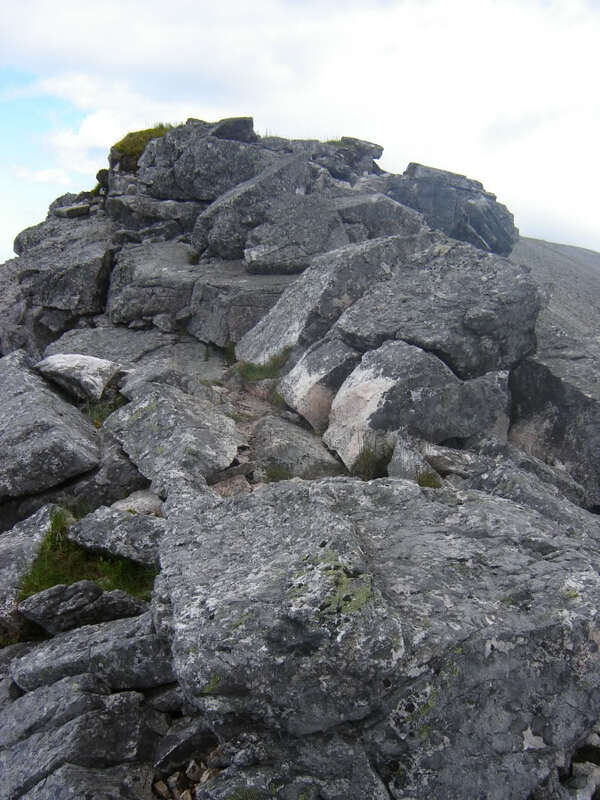 There is only a short section perhaps 50m in length that has a few sections where one might want to put hand to rock. 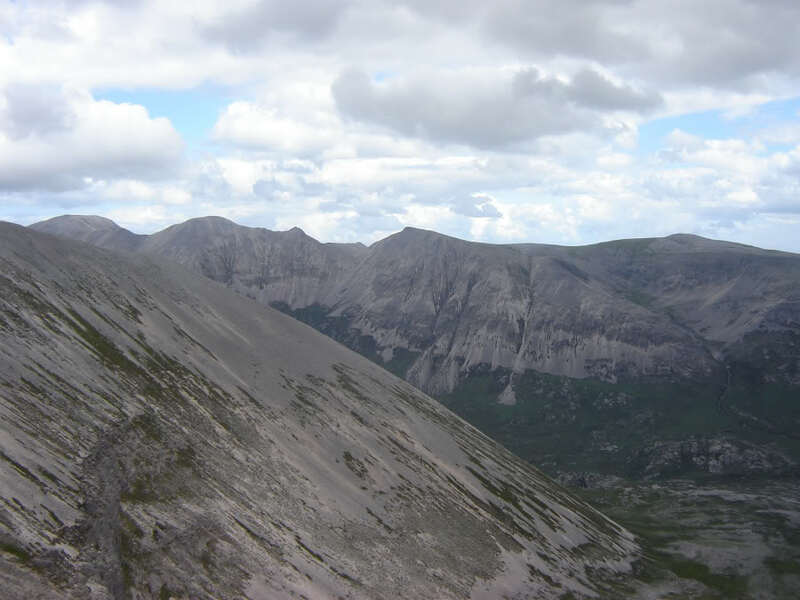 Several photos below from narrow part of ridge. 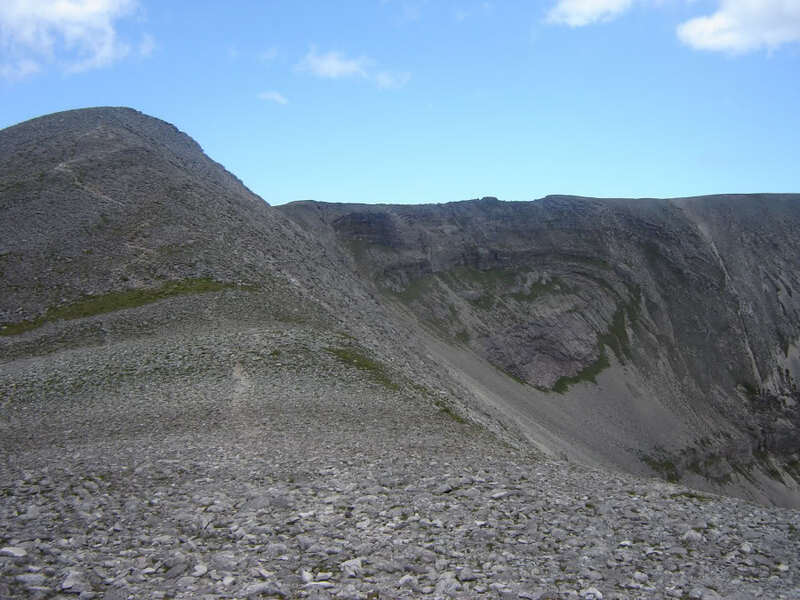 The quartzite pavement section could be interesting in snow, as some of the holes between the rocks are quite deep. 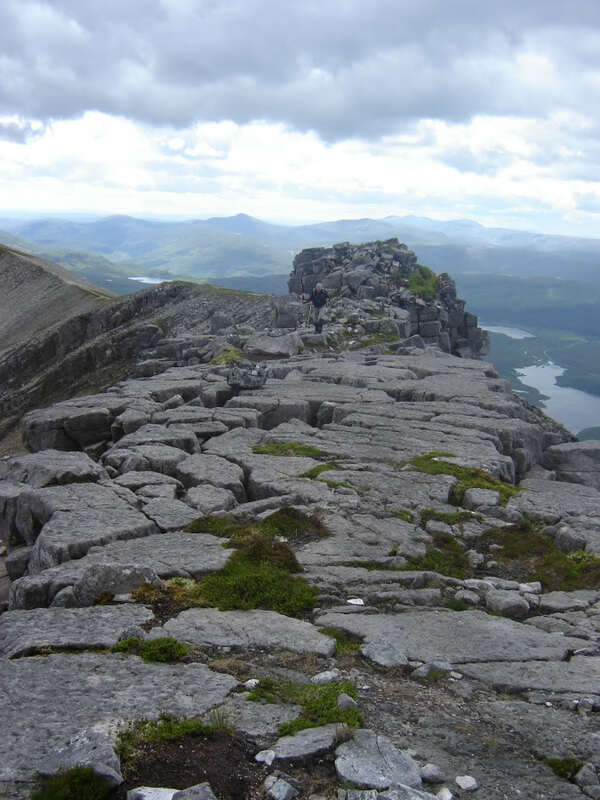 We spent some time at the summit, to soak in the views and have a sandwich, before heading back via the same route. 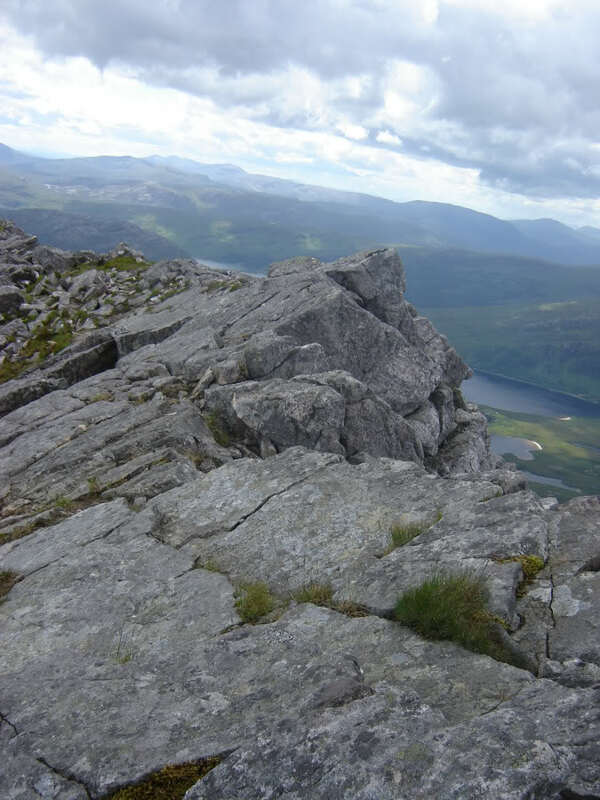 I had mixed emotions at the summit. 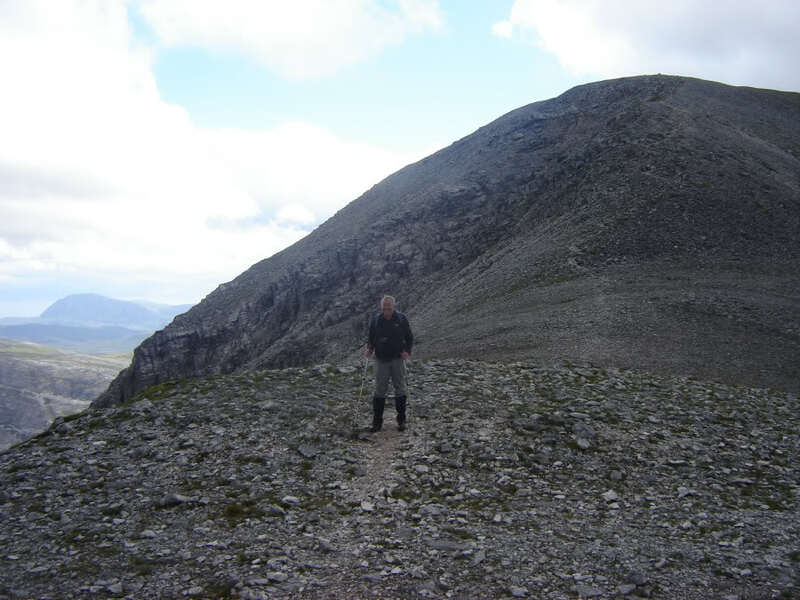 Happy to be at the top of such a fine hill but sad in that this was my final unclimbed Corbett North of Ullapool. 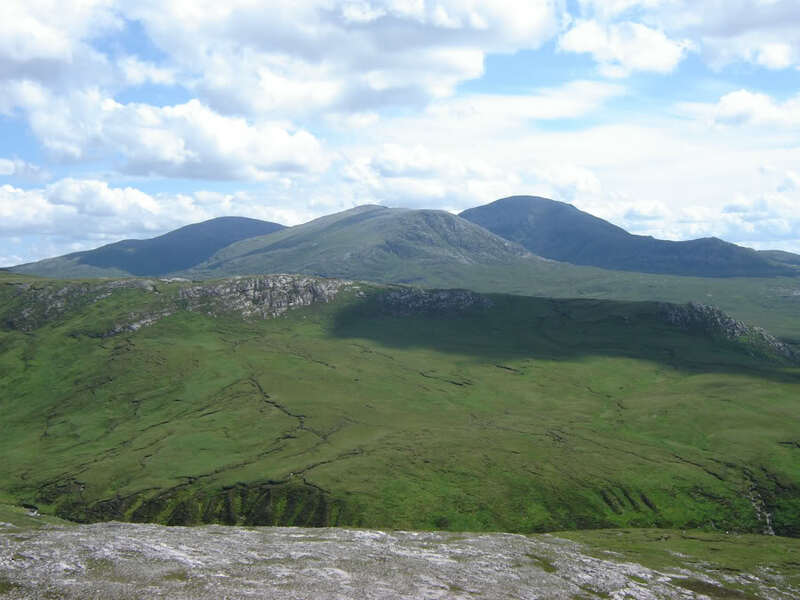 It would be difficult to beat Sutherland for hills of geological interest.